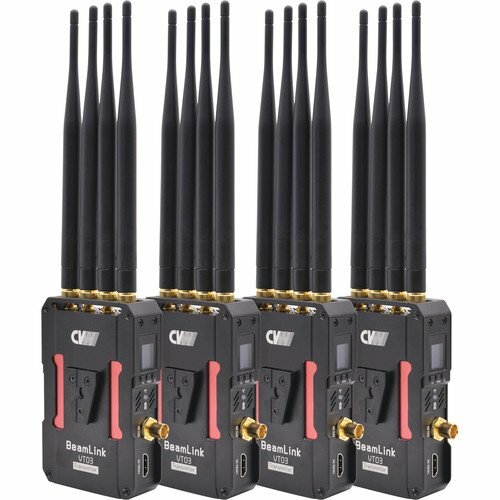 The BeamLink-Quad Four Transmitters to Single Receiver Video Transmission System from Crystal Video Technology allows you to send four SDI/HDMI signals to one receiver simultaneously over a range of up to 1640′. 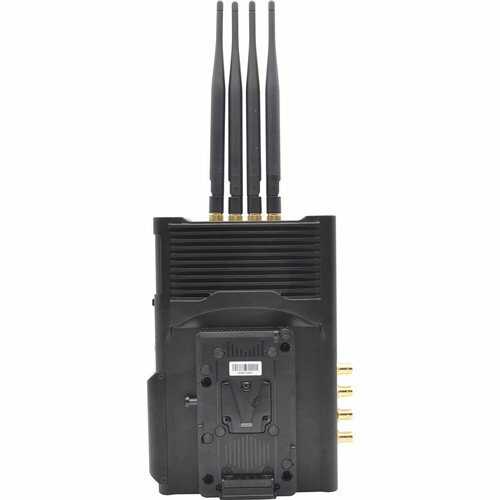 The receiver features four SDI and four HDMI outputs. 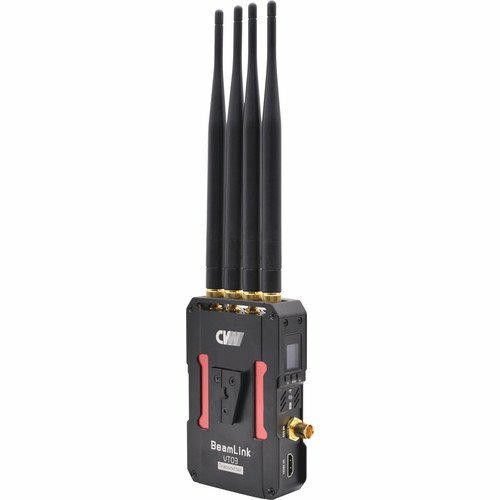 Signals up to 1080p60, 4:2:2, 10-bit can be transmitted with a latency of 60-150 ms over one RF channel on the 5.1-5.8 GHz frequency. The system also offers tally input and output, and all five units confirm transmission status via OLED displays. 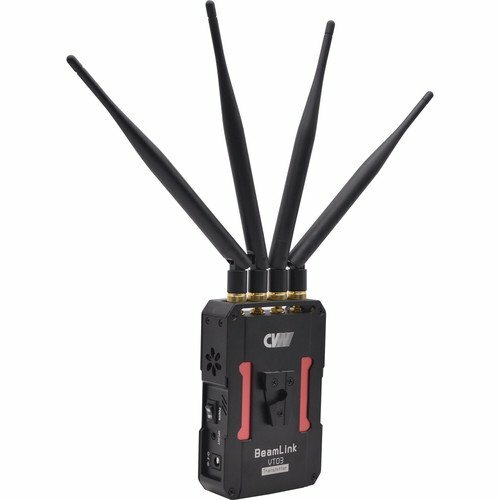 The transmitters are designed with a built-in L-series battery plate on the rear and include a pre-installed V-mount on the front, while the receiver comes with an attached V-mount plate. 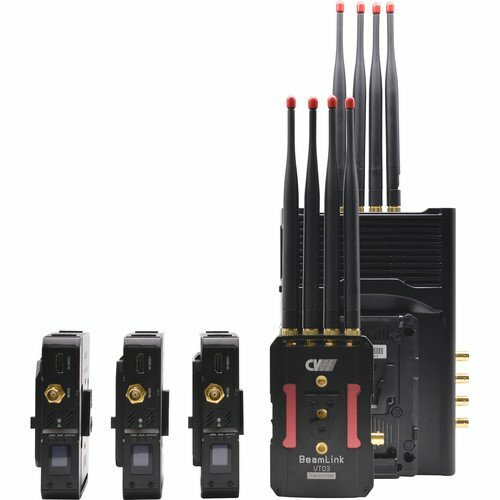 The entire set can also be powered continuously. 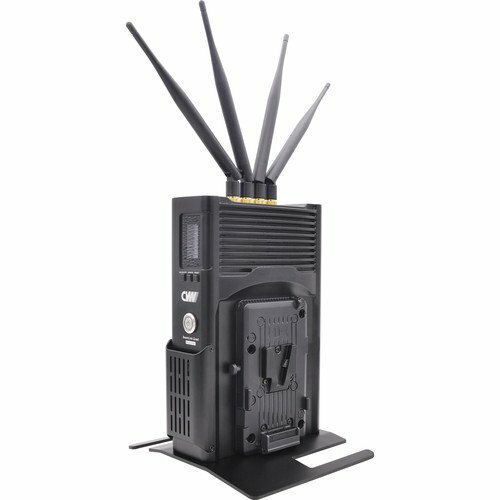 A power adapter is included for the receiver, and LEMO-to-D-Tap power cables are supplied for powering the transmitters off of compatible batteries. 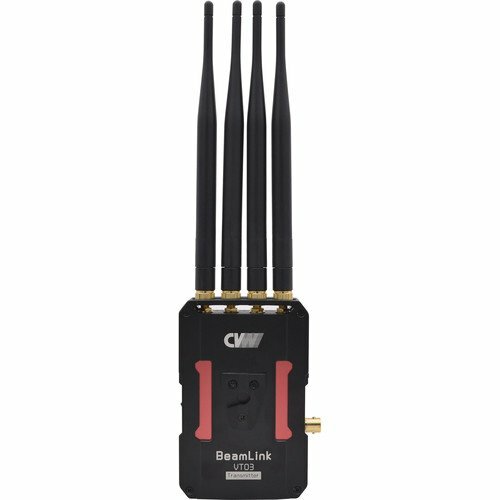 18.9 x 14.2 x 8.3"